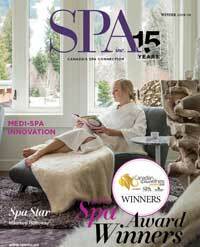 100 Fountain Spa | Spa Inc. In the heart of the Niagara, Ontario wine region, encircled by historical sites, world-class theatre, agricultural markets and fine dining, is a spa that reflects its rich surroundings in more ways than one. Niagara natives and visitors alike have enjoyed the sanctuary of 100 Fountain Spa since it opened in 1996. The spa is one of the main attractions of one of Niagara-on-the-Lake's landmark hotels, Pillar and Post, owned and operated by Vintage Hotels. Ontario's only five-star country inn, Pillar and Post is a charming inn with a past intimately connected to Niagara-on-the-Lake's agricultural history. For its part, 100 Fountain Spa has leveraged this rich heritage and spectacular surroundings to create a unique and lavish spa escape. A stunning reception area greets visitors in an environment that seamlessly blends classic and contemporary luxury. The luscious interior boasts a rich colour palette complemented by textural stone accents, soft trickling water features, and the warmth of elegant woodwork. Guests sit fireside in a plush spa lounge overlooking an outdoor hot spring as they await a wide range of aesthetic and body treatments. "The mission of 100 Fountain Spa is similar to the Vintage Hotels' mission: to be the Premier Standard of Luxury in the Heart of Wine Country," says Dianne Turner, Marketing and Public Relations Specialist. Indeed, the spa is themed to reflect its location in Niagara Wine Country. It has five wine-themed rooms sponsored by Niagara vineyards Inniskillin Wines, Chateau des Charmes, Reif Estate Winery, Marynissen Estates, and Frogpond Farm. Even its exclusive product line, called Vitality, is prepared with all-natural ingredients indigenous to the vineyards of Niagara and is inspired by its location in the heart of wine country. 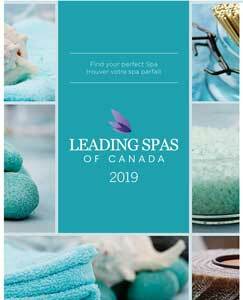 100 Fountain Spa has 12 individually appointed rooms along with a larger group manicure and pedicure salon which is the only one of its kind in Canada (six chairs featuring built-in massage and air-jetted, hand-blown glass bowls plus six manicure stations accommodate groups up to 12). In addition to traditional spa services, guests can enjoy the heated indoor saltwater pool, outdoor hot springs, fitness centre, plus a heated outdoor pool. "The outdoor hot springs pool is unique to Niagara, and a huge draw both for the spa and the Pillar and Post. We have just begun adding Thermal Mineral Salts to the hot springs," says Turner. In addition to its exclusive Vitality line, 100 Fountain Spa recently added another product line, Kerstin Florian Thermal Mineral Salts. A number of treatments have also been created to compliment the Thermal Mineral Salts. The spa also offers gloMinerals makeup (a high-end mineral makeup with medical properties) and Biodroga Systems from Baden Baden Germany. 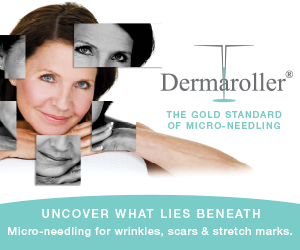 The latter is unique because of its highly effective biological ingredients and cutting-edge use of bioengineered ingredients like its new line Anti-Age Cell Formula made with apple stem cells. "The spa was completely transformed in 2005 into a 13,000 sq ft. spa paradise. Its ambiance of serenity and warmth is both contemporary and comfortable, allowing our guests to totally unwind and leave the pampering to us. 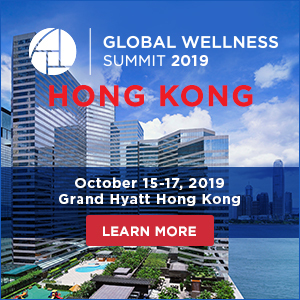 It is a holistic environment, supported by highly qualified professionals, including registered massage therapists and caring staff, providing a wide range of healing treatments," says Kelly Exelby, Senior Manager of Spa Operations. Upholding the highest quality standards while delivering exceptional service has led to the spa receiving various accreditations and accolades, in addition to a loyal following of clientele. 100 Fountain Spa is a member of Leading Spas of Canada, Premier Spas of Ontario and Spasofamerica.com (which has reported 100 Fountain as the top-ranking spa in Canada every year since 2007). 100 Fountain Spa services reflect a wide and varied approach to holistic health, says Exelby. Categorized by general services (esthetics, body treatments and facials), massage, and gentlemen's services, the menu also presents a list of signature treatments and packages. Four signature vinotherapy treatments feature the healing power of grapes. "The potent antioxidants found in grapes have been recognized not only for their heart health benefits, but for skin as well. In vinotherapy treatments grape seeds and skins from local vineyards are combined with wine extracts to improve skin health," says Exelby. The four treatments are Vinotherapy Facial, Purple Feet Pedicure, Bamboo and Wine Scrub and Vinotherapy Wellness Wrap. A sampling of three of those treatments can be experienced as part of the Head to Toe Wine Taster package. 100 Fountain Spa also boasts proprietary relationship retreat packages geared towards couples looking to explore their connection and enjoy special spa time together. The couple's massage is the spa's most popular treatment, says Turner, adding that the Niagara region lends itself to couples vacationing and enjoying the wineries and surrounding area. Indeed, though they cater to a combination of day guests, stay and spa guests, corporate guests and social guests, the spa's clientele is typically overnight guests of Pillar and Post, ranging in age from 25-65. "They are typically couples or groups of women celebrating special occasions," continues Turner. "Our uniquely designed spa is perfect for an intimate couple's retreat or a large corporate group incentive getaway. "Clients keep coming back because of the location in the Niagara Region, the environment including the outdoor hot springs, the quality of service, and the ability for guests to spend the entire day with us. It is a mini escape from their busy lives."